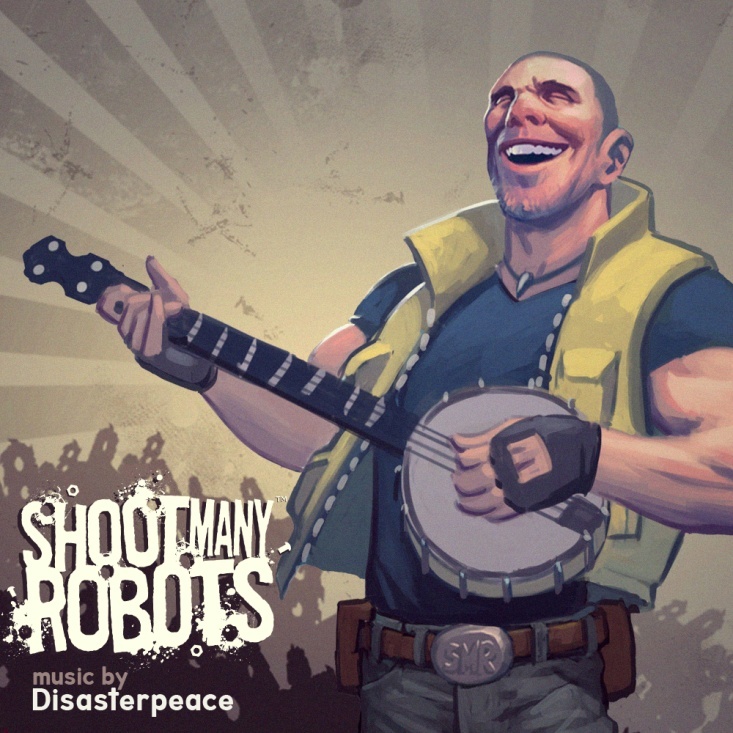 The soundtrack to the popular indie title Shoot Many Robots is out today and ready to rock... many robots. Rich Vreeland, perhaps better known as Disasterpiece, does the composing on the record. If that name sounds a little familiar, it's probably because Vreeland also created the excellent tunes found in another indie hit- Fez. Well-known indie game composer Rich Vreeland, A.K.A. 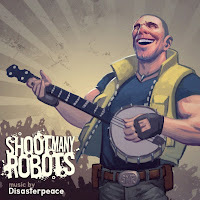 Disasterpeace (the very same Disasterpeace who created the critically-acclaimed soundtrack for Fez), assembled a band to craft the gritty blues for the Shoot Many Robots soundtrack. The Shoot Many Robots OST is 16 tracks of guitar-laden rock that’s the perfect accompaniment to murdering robots in-game and real life. Released by Ubisoft and Demiurge Studios, Shoot Many Robots is a four-player co-op run-n-gun RPG shooter that lets you take out a tidal wave of rusting hulks of metal and degenerating circuits with an array of weaponry that would make any shooter enthusiast proud. Developed by Demiurge Studios (collaborators on Borderlands, Brothers in Arms, Mass Effect and other AAA properties) and published by Ubisoft, Shoot Many Robots is packed full of big guns, massive explosions, giant bosses, four-player online mayhem, and a ton of customizable gear to unlock.For more information about Shoot Many Robots, please visitwww.shootmanyrobots.com.